I do love a bit of the Chung, well her fashion, not so much her attempts at presenting. I initially saw these images on the Daily Mail website on Friday while having my lunch at work and knew I had to post these. I don’t know what it is about these pictures, but there is something about them, which I can’t put my finger on. Normally Vero Moda is one of those brands I never ever bother with- I may give them a quick glance while browsing ASOS but I would never willingly go on their site. If you recall my holiday outfits, I received two dresses from them via Zalando and I thought for the price the quality was good. However from glancing at their Spring/Summer campaign featuring the Chung you would think these pictures are taken from a spread inside Vogue or Elle featuring high end items of clothing, not high street. The campaign was shot in Alexa’s adopted hometown of Brooklyn, New York, and I just think the background shots just compliment the items of clothing perfectly. There are more shots on the official site, however I’ve selected a few of my personal favourites to share. All items which are featured in this campaign are currently available on the Vera Moda site, and are VERY purse friendly. I’d definitely recommend to go and have a look. 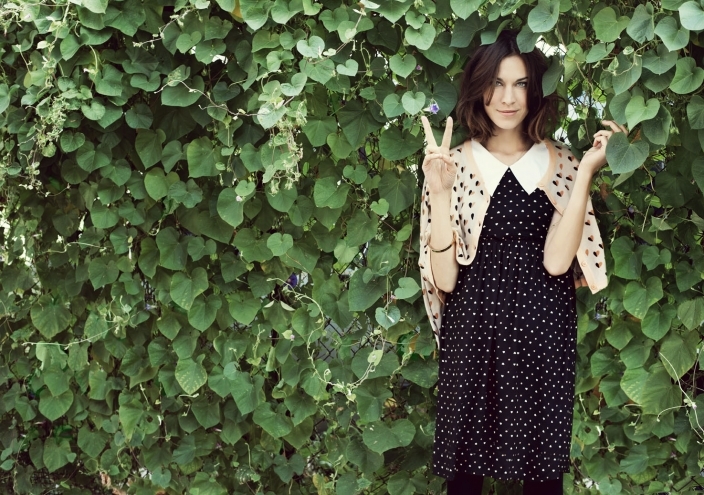 I love Alexa Chung's style, i recently read a artical on her in company. She seems like a down to earth person too. Love a bit of Alexa! Her style is amazing! I love her style, even though when its during a shoot she probably doesn't choose her own clothes! Shes still an inspiration!